Review: Lee Aaron – Fire And Gasoline – Big Sister Records/ILS/Caroline – Release: Out Now. I first heard Lee Aaron on a metal show from a local radio station. It was the track ‘Deceiver’ from her second album “Metal Queen”. The following weekend I went to the record shop and got myself the album. Later I found her debut and the cover was on the wall in my room for many years! A year later I attended the Heavy Sound festival in Belgium (also with Warlock, Tokyo Blade, Pretty Maids, Tobruk, Crossfire, Slayer and U.F.O. On stage). There she also brought some tracks from her newest album “Call Of The Wild”. I kept following her, but I lost interest after the “Emotional Rain” album. Later on Lee released some jazz stuff, but some years ago she was on stage at Sweden Rock. That must have infected her with the rock virus again because now she’s back with a new album “Fire and Gasoline”. Lee is back at the rock front after 20 years. The jazz is gone, but the metal isn’t back either. Opener ‘Tom Boy’ is a fun modern rocker with some vocal effects and an infectious rhythm. The former metal queen hasn’t lost her touch and her voice has stood the test of time perfectly. The title track holds some funky bass and fine string work from Sean Kelly and Lee sounds really sensual here! ‘Wanna Be’ starts a bit jazzy but transforms into a punk pop track with catchy riffs and sweet backing vocals! ‘I wanna be your favorite chocolate bar’ is an excerpt from the lyrics and I’ll let your imagination figure out what this song is about. A kinda punky rendition of ‘Watcha Do To My Body’ if you will! Groove is the word that pops up in my head when listening to the very melodic ‘Bitter Sweet’. When talking about melodic, let’s move to some AOR infused stuff with ‘Heart Fix’. Kelly injects this smooth track with some spicy riffs and hooks. Lee meets Robin Beck here. I still believe Lee’s best album was her self-titled one from 1987. This track kinda reminds me of that absolute gem! But Lee has got some other tricks up her sleeve on the blues infused ’50 Miles’. Her vocals here made my jaw drop. ‘Bad Boyfriend’ has the attitude of the early Joan Jett albums and rocks big time. Rest assured guys, this chick can still rock! A ballad could not be missing in this collection of tunes and ‘Nothing Says Everything’ fulfills this obligation. Lee’s voice can still move me after all these years! Just listen to the vocal break in ‘If You Don’t Love Me Anymore’ and you’ll be amazed. Album closer ‘Find The Love’ is a real treat because Lee shows what she’s capable of with her voice. A sensitive track with tons of emotions! The powerful ending with the classical piano ends this rock comeback with style. Lee’s album is absolutely fun to listen to. It’s a pure rock platter, with some punky vibes and utterly melodic stuff. No, it’s not the Lee from “Metal Queen” or “Call Of The Wild”, but that was ages ago and she has now put out a collection of modern sounding songs. 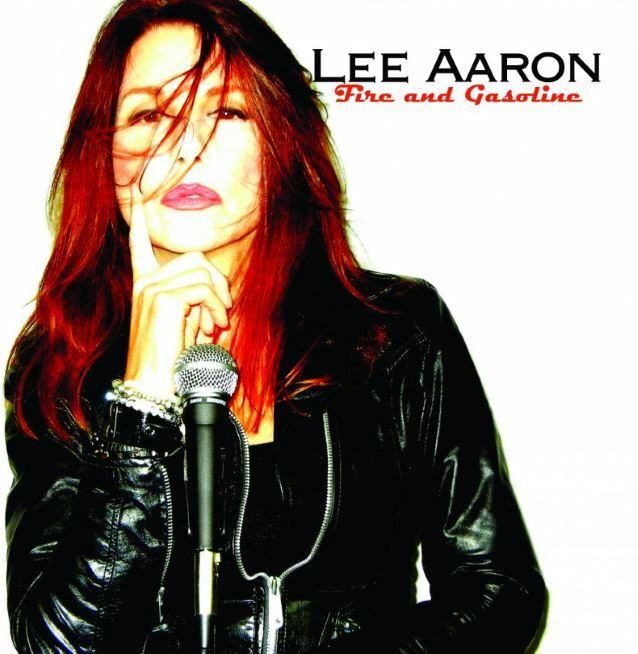 Rock lovers and fans of Lee’s voice will love this album, because the girl can still go wild!